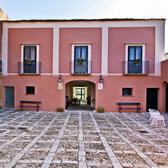 The farmhouse Porti Calazzo - ANTICO BAGLIO is located in Trapani, in the heart of western Sicily, a stone's throw from Erice and the Nature Reserve of the Salt Pans of Trapani and Paceco. 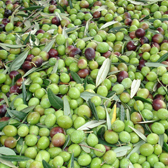 The farm produces in a traditional way an excellent extra virgin olive oil (DOP Valli Trapanesi), fruit jams, honey and red wine (Nero d'Avola). The farmhouse is independently managed by the family Ingardia, who welcomes guests in the tradition of Sicily, with warmth, courtesy and helpfulness. Our products are famous all over the world. Our farm, through the younger generation, continues with passion its activities. Our farm is located in the heart of western Sicily, between Trapani and Erice, a short walk from the Nature Reserve of the salt pans of Trapani. Our farmhouse is in a rural location, in the center of a large agricultural estate. An environment of great natural beauty, between Trapani and Erice, in the heart of western Sicily. A short distance away there are all the major tourist destinations of Trapani. 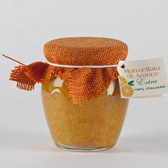 "The products of Mrs Ingardia are very good, you can smell the scent of Sicily ..."
"We love the jams, we supplied ourself with it for a whole year"